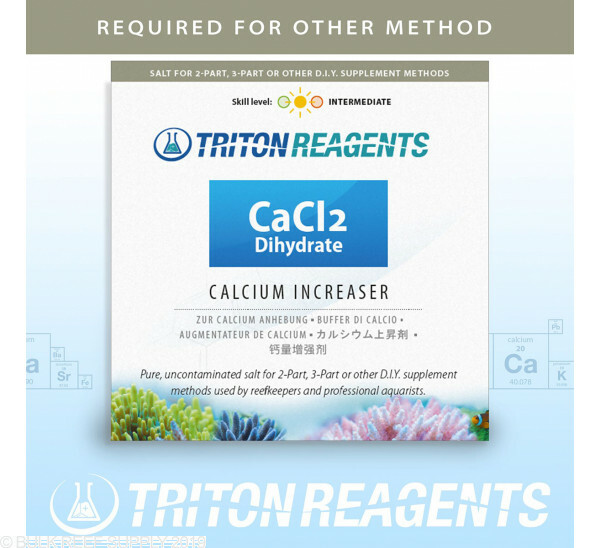 Use ultra-pure Triton additives without needing to run the whole system! 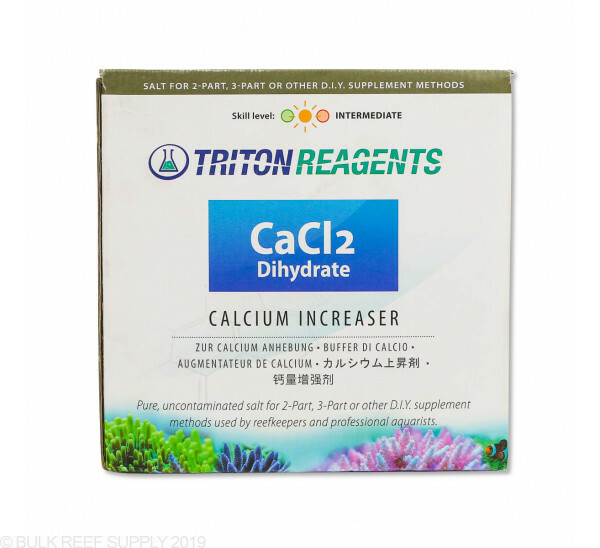 Calcium is used by all corals and most marine invertebrates to create a calcium carbonate structure, and over time the calcium level in your aquarium may drop below proper levels. 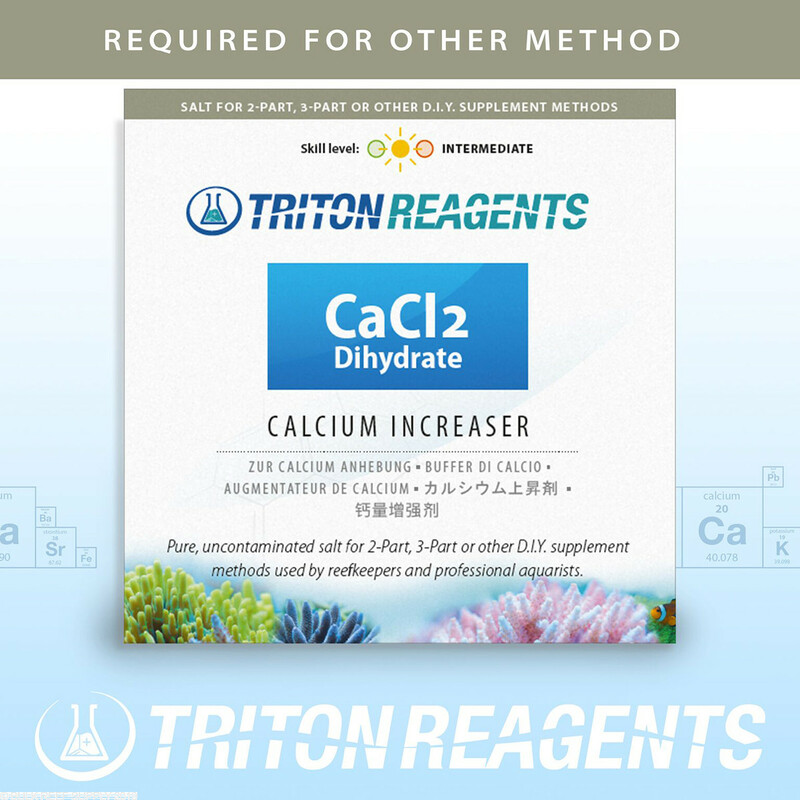 In almost all reef tanks a calcium and alkalinity dosing regime will need to be implemented (also known as 2-part dosing) and using Triton additives guarantees that your aquarium is getting some of the purest additives available. 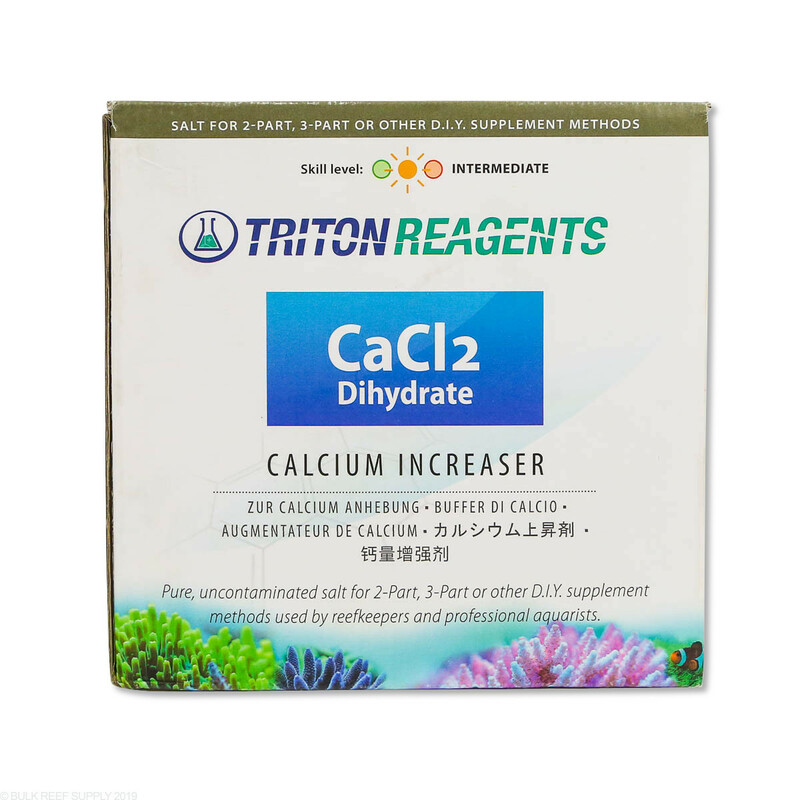 Test your aquariums Calcium level, and determine the amount of Calcium Increaser needed to dose to your aquarium, and dissolve it in RODI water. Once fully dissolved, slowly pour the solution into a high flow area of the sump or display tank. Wait a few hours and test the calcium level of your tank.